When classes resumed for the 2018-2019 academic year at University of Massachusetts Lowell in September, more than 350 students in its Manning School of Business embarked on an educational journey unlike any other. One of the main drivers of the initiative is that, as an institution, UMass Lowell had been using CRM to create a connected campus. 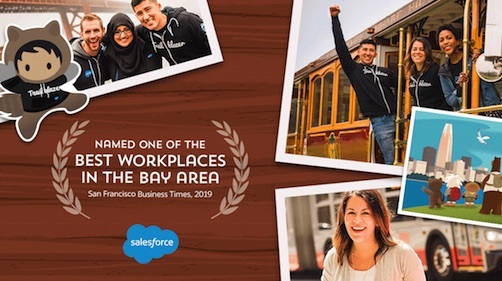 Its IT department launched Salesforce in 2014 to streamline admissions, recruiting and career services and has since seen retention and graduation rates increase significantly. Today, there are nearly 300 Salesforce users in a dozen departments across the campus. 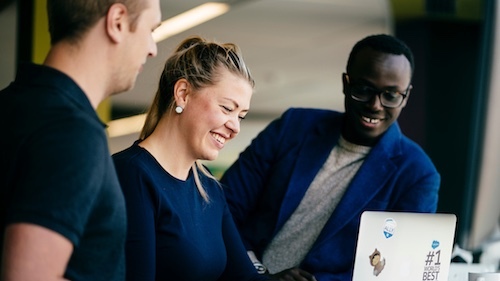 Plenty of schools across the U.S. use Salesforce to manage internal operations, but none has gone so far as to integrate CRM learning so deeply into its curriculum. The goal, according to Tony Gao, Associate Professor of Marketing and a faculty champion for the initiative, is to provide students with practical, in-demand skills that will make them imminently more marketable and (hopefully) more successful long-term in their careers. “The fact that our university has successfully implemented Salesforce in many functional departments and proven its tremendous value has made our job easier in introducing it to the students,” says Gao, who also credits Manning School Dean Sandra Richtermeyer’s vision and leadership for integrating Trailhead into the classroom and for building corporate relationships with industry partners. Indeed, a 2017 Salesforce-commissioned study by IDC reported that Salesforce and its ecosystem would enable the creation of more than three million jobs and $859 billion in new revenue worldwide by 2022. Further, Burning Glass Technologies, an analytics company that tracks the labor market, said that, since 2012, job postings calling for Salesforce skills have grown 1.3 times faster than overall job postings, and that demand for Salesforce-specific jobs have quadrupled. 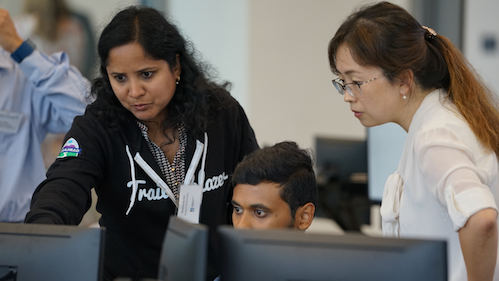 Trailhead, as hundreds of thousands of lifelong learners are already aware, is the fun way to learn Salesforce; a library of free learning paths that run the gamut of Salesforce capabilities and levels of expertise. Learners receive a badge for every completed module, and a trail consists of multiple modules organized around a common theme. In its inaugural semester last Fall, Gao made badges optional; those who completed eight modules received one extra credit. It was such an immediate success that in the second semester, students were required to complete 12 modules for 12 badges. By the midpoint of the Spring semester, 23 of his 80 students had earned more than 50 badges! Now, in the Fall 2018 semester, he requires all of his students to complete 25 modules and encourages them to complete another 25. Currently, four of his MBA students have already earned more than 100 Salesforce badges, which will surely draw the attention of prospective corporate recruiters. The unique program has been such a model for learning that in March 2018, more than 100 Manning School students participated via webcam in the TrailheadDX Developer Conference, which drew more than 10,000 attendees. 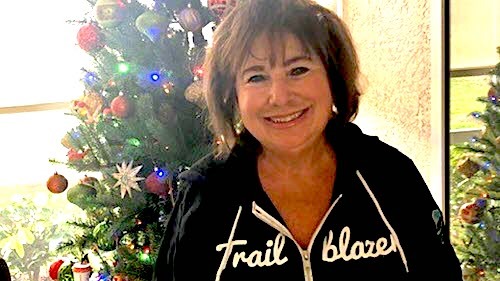 The school is also a featured Trailblazer among Salesforce Student Groups on Salesforce.com, and was highlighted by Sarah Franklin, Executive Vice President and General Manager of Trailhead as a model of learning innovations at Salesforce World Tour Boston. To that end, one of the school’s measures of success is connecting students with employers. The interest from students and faculty in terms of adding more Salesforce-related content to the curriculum is growing, and plans to integrate Salesforce into entrepreneurship and management courses are on the horizon. The Manning School of Business has also hosted a variety of speakers from industries to talk about the Salesforce ecosystem and discuss how knowledge of the Salesforce platform can lead to career opportunities. The Manning School is also getting some inquiries from employers about students with Salesforce skills, according to Gao. The other indicator of success is engaging with and training more faculty members on Trailhead so they can integrate it into their curriculum. Gao himself is in a constant state of learning. Check out his Trailhead training profile — he has acquired more than 260 Salesforce badges and more than 125,000 points, and has also completed a rigorous Trailhead training program set forth by the Trailhead for Students program at Salesforce, and has earned the Salesforce Fundamentals Educator status.